I don’t think they’re all that fiendish really. It’s the mess I got myself in trying to keep up the alliteration. But what are they going to do with all of those pumpkins? 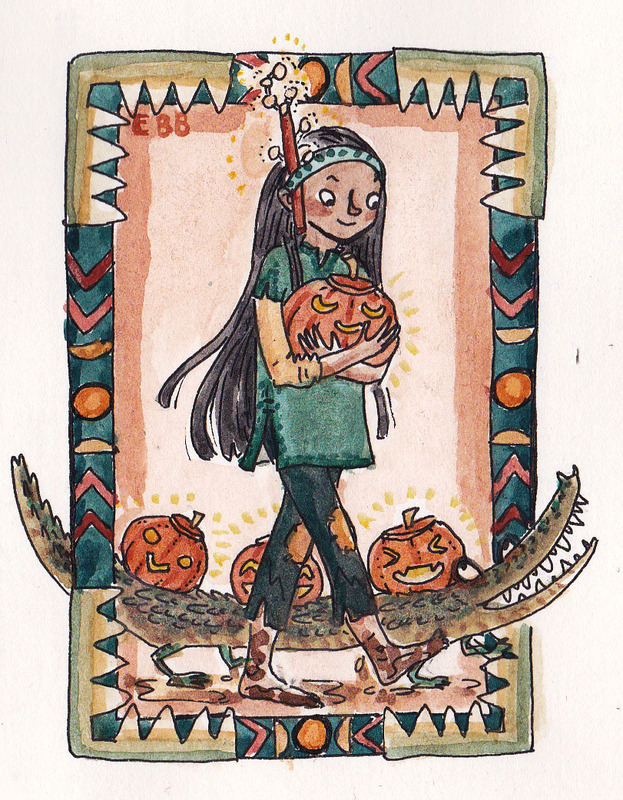 Last of the little Halloween week witches! This entry was posted in Illustration and tagged arts, crocodiles, Drawings, halloween, holidays, Illustration, magic, pumpkins, witch, witches. Bookmark the permalink.